Back in the day in African villages, musical instruments played specific roles, some used for social entertainment, spiritual worship and communications. 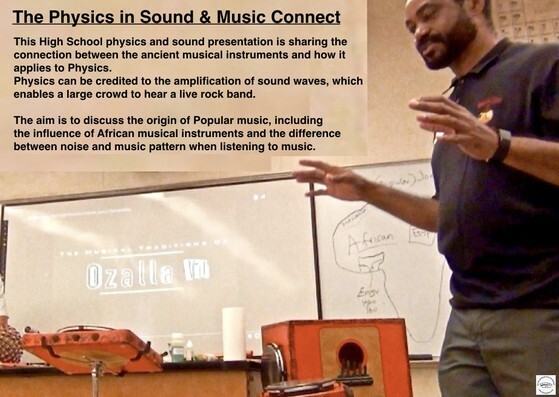 But, today physics teachers and other academics are now exploring how African village musicians have ingeniously created musicals instruments using materials found in nature. It is rewarding sharing Afro music and Drum culture with the youths. 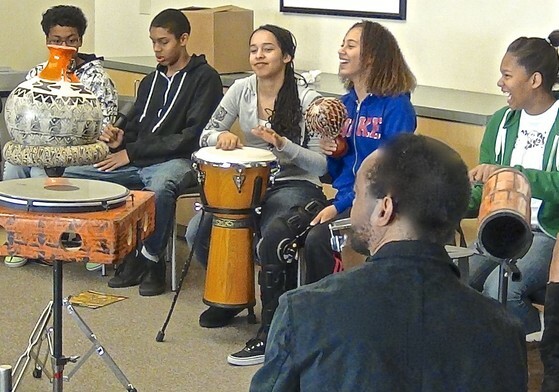 The interactive presentation allows the student to ask questions about the origin of the instruments, such as Conga, Bongo, Bells, Udu and how they're used to produce sounds. It was a night of an intense drumming and percussions, before a crowd of about three thousand. 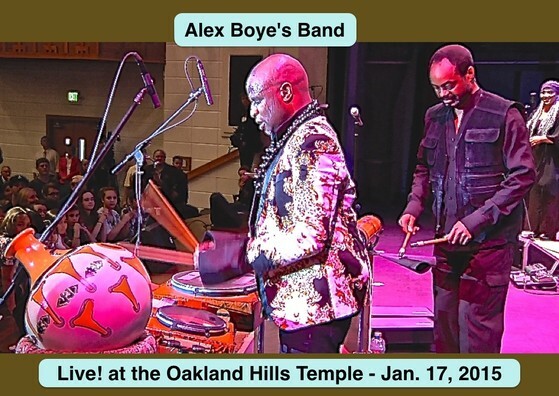 Alex Boye, a professional musician, was full of energy, doing splits, drumming and telling cultural stories about African drums. 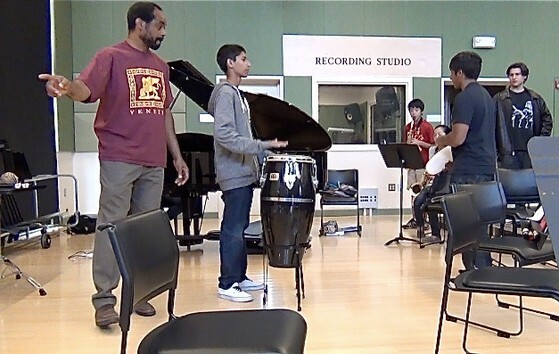 We incorporated various drumming techniques, including Afro Brazilian / Afro Cuban and the Caribbean rhythms. The video below shows a collaboration project that took place at the San Jose State University working with the Department Head, Cassandra Straubing. Students employed problem solving techniques, to use glass instead of clay to make Percussions instruments. One item we made during the class was a Glass Udu Drum. The project concluded with each student making a presentation and showing the item the fabricated. Clay Planet celebrated its 10th anniversary on May 31st. It was a well attended event, with huge sales on all equipments, Kilns, wheels, Clays, tools, glazes, supplies throughout the whole store. fun had by all.